Today there is a story in the Washington Post, discussing the McCain campaign&apos;s fundamental tactic of just lying. Lying about McCain, lying about Palin. If their lips are moving, they are lying. But while the fault does largely lie with McCain and the Republican party for making outright lies one of the legs of the conservative stool, they have an accomplice in this act. And all the other media outlets who write thumbsuckers like this where the dominant theme is "what to do?" The press has what amounts to a simple enough job: Evaluate claims, research them, and provide the readers and viewers with the results of the investigation. Instead, if the mainstream press were a detective it would say "Well, a lot of people commit crimes" as John McCain walked past with his hands covered in blood. The mainstream press in this country has decided for a long time now to abdicate their role as a watchdog of democracy. I think that this is just basic laziness, but as others have noted it may be out and out malfeasance or bias. Whatever it is, if outlets like the Post devoted half the resources they do to thumbsucking pieces like this one that throw their arms up in confusion, there wouldn&apos;t be the need for these pieces in the first place. 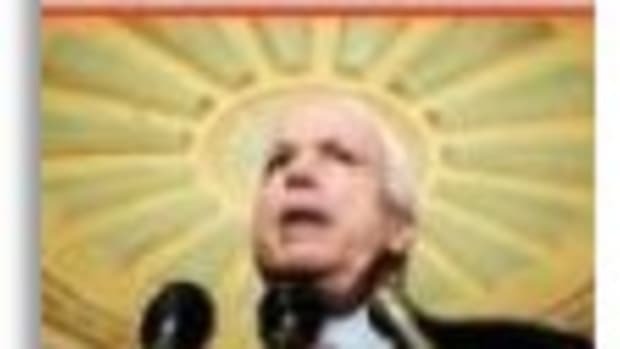 John McCain is a liar. Sarah Palin is a liar. And the Post should say so. If they find that the Democratic candidates are lying they should say so too. But don&apos;t just sit there with your thumb jammed up your rear wondering where truth went when you helped to do the crime. MORE: God, these people hate our democracy.